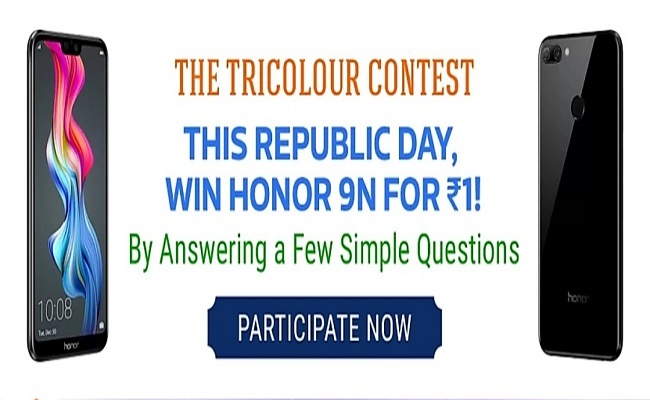 Flipkart The TriColour Contest – Win Honor 9N for Rs.1 | This Republic Day Answee a Few Simple Questions and Win Honor 9N for Just Re.1 | Participate Now !! 1. 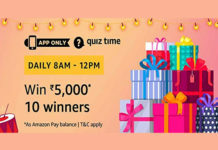 Login/Register into Flipkart Mobile App. Question 1. In which year was the first R-day parade held? Question 2. 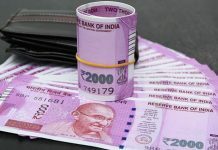 The Indian constitution was prepared in how many days? Question 4. Who will be the chief guest during the Republic Day 2019 celebrations at New Delhi? Question 5. Who takes the military salute during the parade on Republic Day? How To Claim The Reward ? 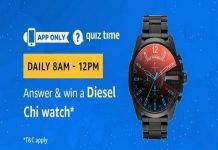 Winners will see the link in “My reward” section and can redeem the product untill 72 hours from 15th February 2019.